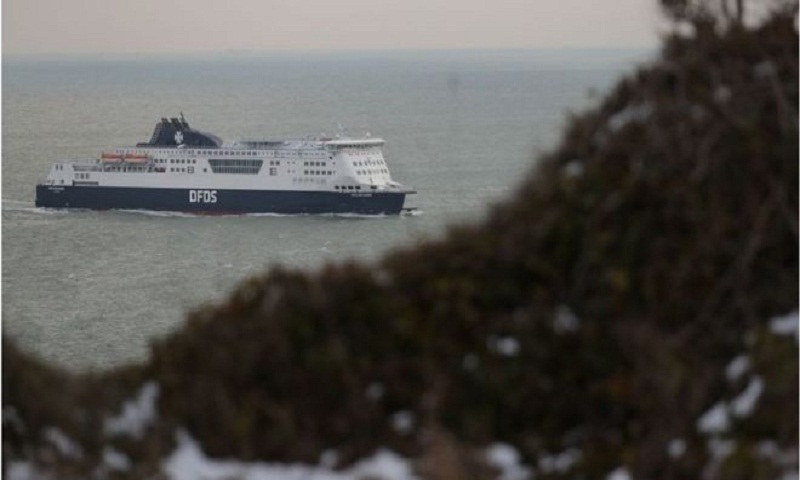 The UK will spend more than £100m chartering extra ferries to ease "severe congestion" at Dover, in the case of a no-deal Brexit. Over the last few months, additional ferry contracts were awarded to French, Dutch and British companies. Lib Dem leader Sir Vince Cable called the move "complete madness". The Department for Transport (DfT) said the awards were "a small but important element" of its no-deal planning. In documents outlining the agreements, the DfT states that an "unforeseeable" situation of "extreme urgency" meant there was no time for the contracts to be put out to tender - the standard practice for public procurements. However the BBC understands that a number of firms were considered and there was a private negotiation process. The Department also states that increased border checks by EU countries in the case of a no-deal Brexit could "cause delivery of critical goods to be delayed", and "significant wider disruption to the UK economy and to the road network in Kent". In a statement, a spokesperson for the DfT said the contracts would provide "significant extra capacity" to UK ports in the event of a no-deal Brexit, but stressed that the government remained committed to reaching a deal with the EU. All three businesses will expand services on their fleets of "roll-on/roll-off" vessels, designed to carry lorries across the Channel. The additional crossings - equivalent to around 10% of existing traffic across the Dover strait - will provide up to half a million tonnes a month in extra capacity. Lorries diverted to other ports may be expected to pay the standard rate for their altered journeys. The BBC understands that the three firms chosen will retain a portion of their award even if their services are no longer needed, due to a deal being reached with Brussels. However, in that event, the government would then seek to sell the extra capacity back to the market. Brittany Ferries told the BBC it was contracted to add 19 weekly return sailings to three of its routes: Roscoff to Plymouth, Cherbourg to Poole and Le Havre to Portsmouth - a 50% increase on its current schedule. The other firms are understood to be adding services at Immingham and Felixstowe too. Gus Tugendhat, the founder of data firm Tussell, which brought the contracts to the BBC's attention, criticised their late arrival. "This provides further evidence of the last-minute rush to implement Brexit no-deal contingency planning," he said. "With time so short, it appears that normal tendering procedures couldn't be followed."